Unified Past was a well kept progressive rock secret. However, their 2013 release “Spots” was their most gripping recording yet that connected with fans of progressive rock and was met with positive reviews in progressive rock circles. 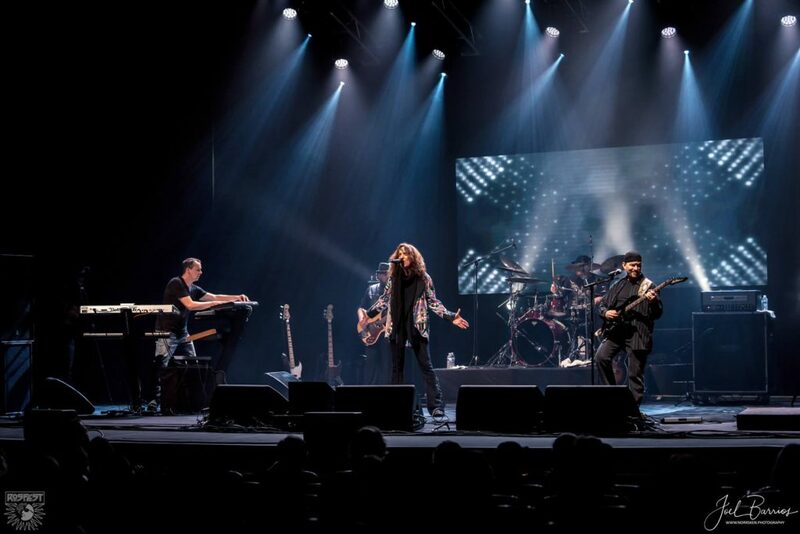 Shifting The Equilibrium is the band’s7th release and promise to appeal to an even wider array of prog fans as the band has stepped up a notch or two with the addition of Emmy Award Winning Singer, Song Writer, and Vocalist Phil Naro. Unified Past featuring Stephen Speelman a guitarist with a master’s degree in classical guitar performance, Dave Mickelson a bass player who is currently a member of Joey Belladonna’s Chief Big Way, Roger Banks a drummer who has earned himself a well-deserved reputation as one of Canada’s leading drummers for bands like Sarasin, Keyboardist Mike Sues is one of the two newest members of the band, and last but not least an Emmy Award Winning Singer, Song Writer and Vocalist Phil Naro. There most certainly are plenty of chop’s to be found in this band’s music. But as powerful as this band can be, their overall sound focuses more on melody and song composition than it does on technical gymnastics. Blending seventies style progressive rock with modern day progressive influences, Unified Past delivers a unique and identifiable sound all of their own. If you are a dedicated fan of progressive rock music then Unified Past is for you. Unified Past announces the newest member to the fold Keyboardist Jason Hanley. Jason has quite a background, including – Musicologist, Musician, Author, and VP of Education at the Rock and Roll Hall of Fame and Museum. Jason has a well-rounded knowledge and appreciation of all musical genres but has a true love for progressive rock. Unified Past has started composing music for their follow up to the highly acclaimed album Shifting The Equilibrium as well as gearing up for some upcoming show! January 9th, 2017 Unified Past confirm their new Drummer Roger Banks. May 6th 2017 Ephemeral Sun Keyboardist John Battema make his debut at RoSfest as the newest member of the band. “…One of those albums that on first listen you can’t wait to hear what comes next”.